If you’ve been reading my buddy Forex Gump’s Piponomics blog then you’d know that Greek debt drama episodes have been catalysts for strong moves among euro pairs. One moment you’ve got forex traders getting their hopes up for a resolution to the crisis, then the next moment these hopes are crushed by squabbles between the Greek government officials and its creditors. If you’re scratching your head and thinking “What in the world is this newfangled currency called bitcoin and how the heck did I miss this entire move? !” then lemme tell you that this cryptocurrency has actually been in existence since 2008 and that you should read the 411 on bitcoin right here. You see, this digital currency was able to gain strong demand from Greek citizens who feared that getting kicked out of the monetary union would force them to revert to the drachma, which was Greece’s official currency before the country decided to join the cool kids of the euro zone. With piles of government debt and years’ worth of economic recessions and record-high unemployment, Greece was facing the possibility of being left with a potentially worthless currency. Of course several Greek citizens would have none of this, as they thought that the capital controls and withdrawal limits being imposed in the country back then was already too much. Putting money on the euro was also out of the question since the stability of the shared currency is also facing a threat from a potential euro zone breakup. Because of that, they sought alternative means of moving funds around and bitcoin was a prime candidate. “No monetary authority or government controlling this digital currency’s value? We’ll take it!” Some industry players picked up on this and started offering loans and investments in bitcoin while others even offered to buy Greek exports in exchange for bitcoin. 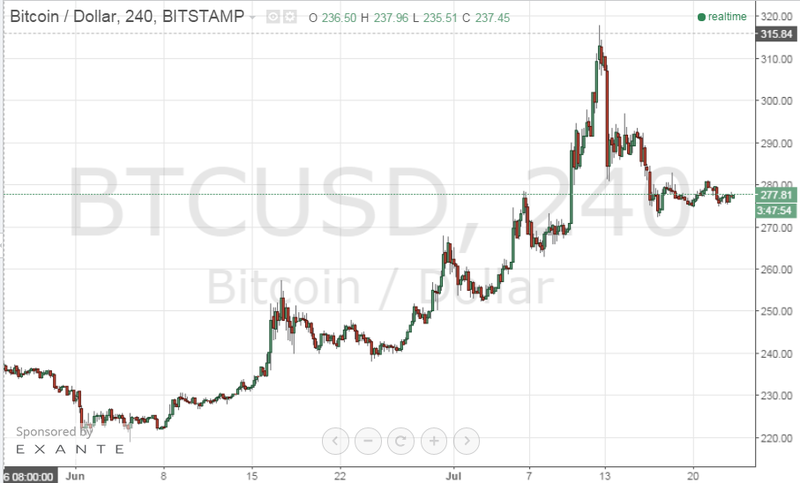 Since the bitcoin network is still relatively small, a sharp increase in demand and trading volume led to a significant price rally. Bitcoin traded back above $300 earlier this month, nearly twice as much as its value from its lows around $150 in January. Looking at the bigger picture, however, reveals that the cryptocurrency is still miles away from regaining all the ground it gave up throughout 2014. Bitcoin even suffered a sudden selloff when Greece started moving closer to securing more bailout funds a few weeks back, reflecting the its inherent volatility. Nonetheless, for those forex junkies looking for an alternative currency to trade in light of the Greek debt developments, bitcoin could still be worth watching.